Mortgage loans are a strongly competitive category because of the many active players who compete on interest rates and the demanding consumers who are making some of the most important decisions in their lives. 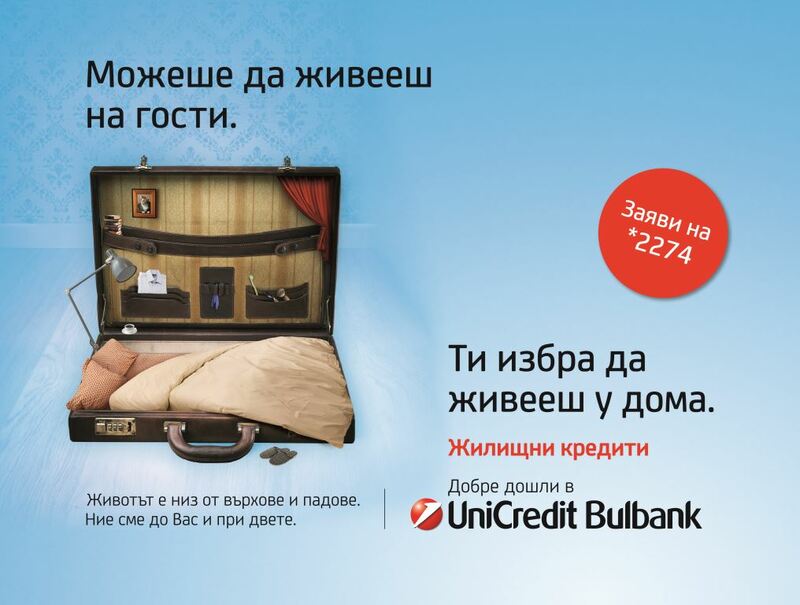 The challenge was to create a distinctive communication strategy, presenting the fair and transparent conditions of UniCredit Bulbank’s mortgage loan, along with their new message, “Rely on us when you want to rely on yourself”. There are always 2 paths in life – the easy one and the right one. We decided to show those who made the easy choices, imitating learning ,or love, or something else. By doing this, we congratulate our customers, who in contrast chose to live in their own home.